So you want to start your own Game Development Company… – Girl Gamer, Esq. Congratulations! This might be the beginning of a new career, fame, fortune, and all that other stuff. You might be successful enough to pay off your student loans, or you might have to declare bankruptcy after a few months, with nothing having come of the endeavor. Either way, there are a few general steps to follow when setting up a small business. Step 1: Choose a name. Technically “have an idea of what you want to do” is first, but this post assumes you already know what you want to do. Having decided what service you will offer, or what software you will code, picking a name is actually the next most important thing. Deciding whether you want to set up as a full-fledged company as opposed to just getting a business license and starting out alone will be covered in the next post. Why is it important to choose a name? So people know where to find you, and know who did what when it comes to the work that you will do. Before getting a webpage or printing up business cards, it’s a really good idea to do a few simple web searches to see if your name has already been taken in your area (location or field of business). Why check to see if the name is taken? Because trademark infringement doesn’t require the intent to infringe someone else’s trademark in order for the second person to lose in court. If someone else has registered the name you want to use in connection with your type of business, they can probably get you to stop using it and get money out of you in order to punish you from having done so. US Patent and Trademark Office – They have the nationally registered trademarks, and a fairly good set of tutorials in how to search. However, not everyone registers their trademark nationally, and it can take a while to become familiar with the organization of the searches and results. Secretary of State – Businesses generally register tradenames at the state level, especially if they’re not just the family names of the people involved with the business. The link provided goes to www.business.gov, which is a website for small businesses, run by the White House, and has a list of links organized by state, so if your state uses the Department of Licensing for tradenames, that information would be provided. Google search – Or your internet search engine of choice. 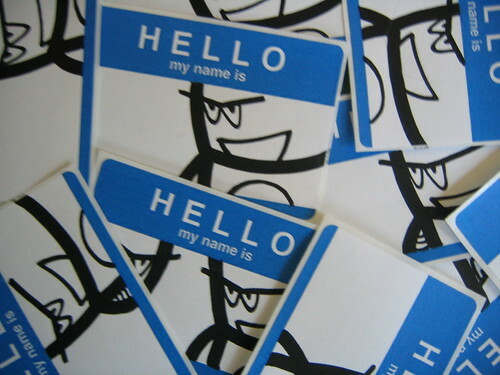 At the very least, it would give an idea of how common the name is, and how many popular ideas would have to be overcome before people began to think of your company in connection with the word or phrase instead of whoever is already out there. A trademark search service will provide as much information as you request for the name you want searched, and will be about 200 pages long and cost about $700. They are easily found online, but usually provide the same information that can be discovered on one’s own. They have access to a few proprietary databases, and have more experience running directed searches, but don’t necessarily provide more information than can be found out from other (free) sources. Questions? Comments? Use the Contact Form!